So…I haven’t exactly finished all of the Chronicles of Narnia books (whoopsie). I had always meant to, but they yet again were lost in my collection of books to read. I’ve read a few and I’ve watched all the films, but this will hopefully push me to read the entire series. Thank you Sydney for tagging me! Sydney, the owner of Fire and Rain Books, is truly remarkable! I’ve been very lucky to have known her for a while now, almost since I started Bookmark Your Thoughts. She’s a sweetheart and a phenomenal blogger, one you should really connect with if you haven’t already. The creator of this book tag is Clémence @ Clemi’s Bookish World. The source for the images can be viewed by clicking on the image. 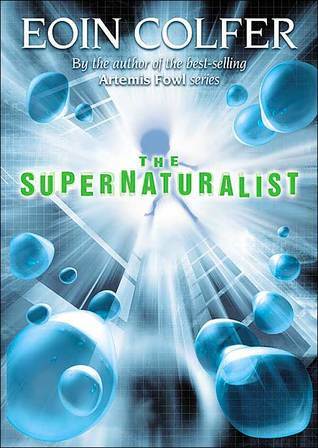 The Supernaturalist by Eoin Colfer is such a fantastic novel, yet I find not many people have read it or even heard of the novel. 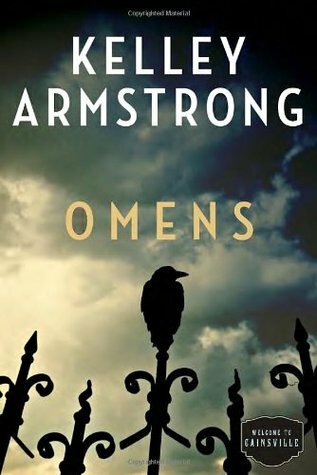 It’s been YEARS since I’ve read it, yet I still can’t forget about the intriguing story and characters; it was one of those one day reads. The only downfall — WHERE’S THE SEQUEL!? A. 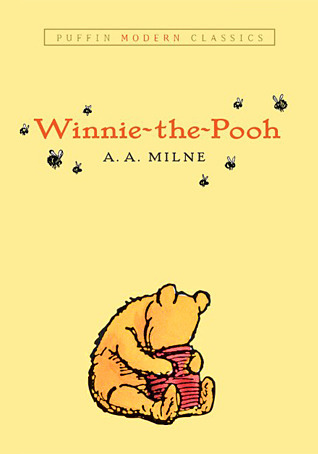 A. Milne’s Winnie-the-Pooh. When reading this book, I always get this great nostalgia of simpler days when my biggest concerns were daydreaming and finding my next big adventure in the great outdoors — I was a rather imaginative child. During one of my MANY adventures to Chapters, I found a hardcover novel in the “sale” section that looked relatively interesting. 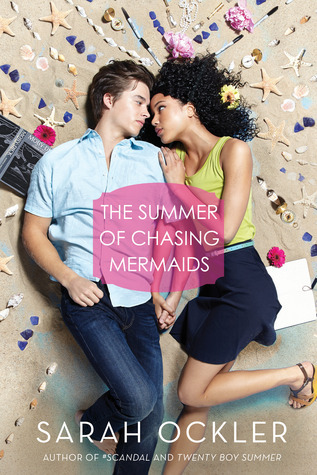 It’s called The Summer of Chasing Mermaids by Sarah Ockler; I began reading it but had to stop, since it was too emotional for me at the time. 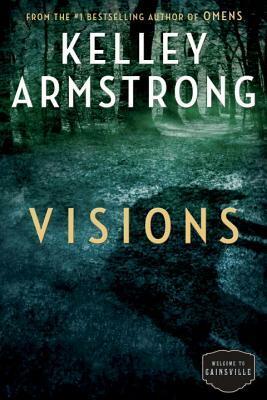 Visions by Kelley Armstrong was MUCH better than the first, and I really loved Omens. It was darker, more twisted, explained so much more about the plot, and the character development grew so much more. Oh, I most definitely would love to be apart of J.K. Rowling’s world. 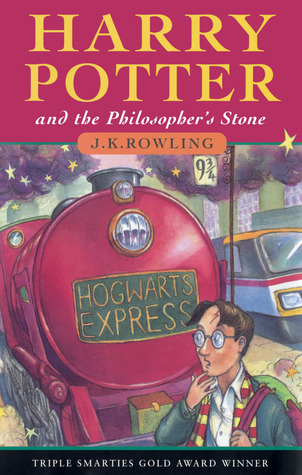 I’ll be honest here…after I read the first few books, I used to totally daydream that I was a main part of the story. Going on adventures with Harry, Ron, and Hermione always seemed like so much fun, and I loved the thought of finding a friendship as strong as theirs. This was the book that came with the December 2017 OwlCrate Box. I thought it seemed cute and fun, but I actually didn’t think I would come to love this novel. Not only was it an enjoyable read, but it’s full of beautiful moments and amazing words of wisdom. The story of Futaba and Kou is incredibly sweet and heart-quenching. The two go through so much together, growing as a couple and friends and in their own individual way. As much as I wished there could’ve been more to the story, I think it ended in the perfect way. I’m sorry for the VERY Harry Potter themed post this time around, but I always wanted a family bond that the Weasley’s have. They truly love one another, even during the rough and dark times. I love my family, don’t get me wrong! It would just be fantastic to have such a LARGE family that has such a strong connection. Gabriel from Kelley Armstrong’s Cainsville series. At first, I couldn’t stand him; he was rude and narcissistic and a jerk to Olivia. He eventually grew to be a respectful, courageous, and caring. I have quite a few…but Hedwig always seems to come to mind. He may seem like a small role in the film and book Harry Potter franchise, but he’s such a large part of Harry’s development and a wonderfully kind creature. Funny enough, Mr. Tumnus is actually my second favourite! 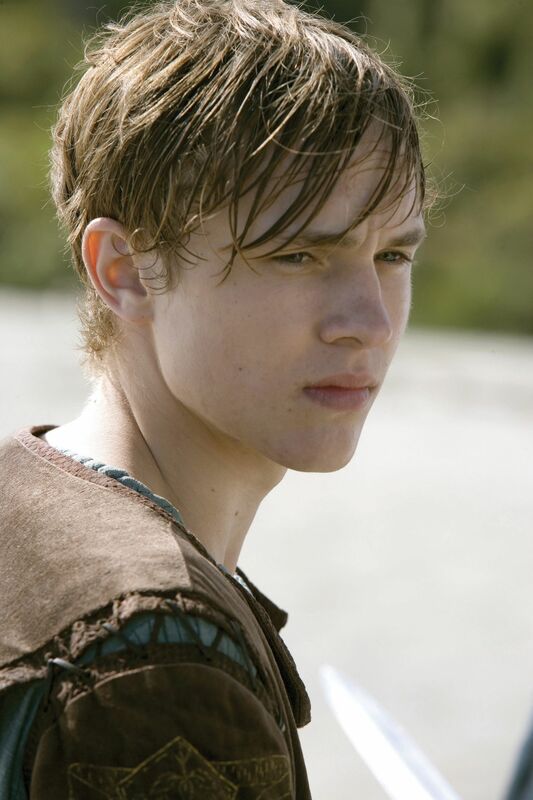 Funny enough, I actually find King Peter Pevensie a character with regal qualities. Though he’s far from perfect, he tries his best to be just and kind and courageous. When we falls, he gets back up strong than before. He tries his best…and that’s what counts. Hak from Akatsuki no Yona is as loyal as they come; when Yona goes through the darkest part of her life, Hak doesn’t hesitate to defend her and believe in her. The stronger she grows, the more he respects and values her. 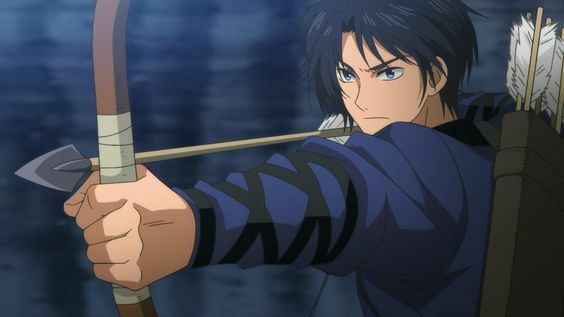 Hak would LITERALLY take an arrow for her. Not only is he loyal to Yona, he’s loyal to all those he cares for and loves. As always, please feel free to participate in this tag if you haven’t done so yet! I hope you all enjoyed the read! Haha! No…I think the hard thing for readers is that there’s so many books that we are surprised we haven’t read…but we simply have no time. 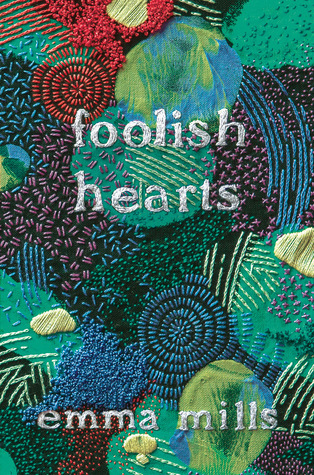 Foolish Hearts was WAY better than I anticipated. Not my fav, but it made me want to find similar books to it. Hedwig is amazing!! I love him! He such a symbolic being in the HP series…people don’t even know!! Side note: I think you might have to go into your account settings and edit the URL link to your site. There are two areas you have to do that. When I see your name in comments and click, it tries to take me to your old site. Thought I’d let you know!! Yay! You should read more by Emma Mills, she’s one of my faves! Agreed, I just wish Hedwig didn’t have such a frustrating ending. I want to! Do you recommend a specific book at all? And I know…but the reason why TOTALLY makes sense…still hated it though lol! And yay! It works now! You’re welcome. I had the same problem when I switched haha! I’d recommend This Adventure Ends because it’s a really fun one and doesn’t feature much romance but focuses on friendship and fandom. I really enjoyed First & Then, because it talked a lot about Jane Austen and football somehow lol. Thanks for the recs!! I can’t wait to hear your thoughts! Awe! I’m glad to see another person loves Winnie just like I do! He’s so adorable!! The books and films were a large part of my childhood…oh the love. You’re welcome!! I hope you have fun with it! Loving this tag and seeing what everyone’s doing with it! I came from Bookishly Rebecca’s post! Oh hello! It’s such a fun tag! I absolutely adore it! I really do need to finish that series though ha-ha! It’s classic! One of my favorites for sure! I read a few of them but not all of them…I don’t even remember why lol. Haha, it totally happens. I remember my mom reading LWW to me when I was really young, then when I was probably around early teens I read them all. Then just this year, I reread them all again as a young adult. They’re stories that you get different things out of at different points in your life.